The population of senior citizens continues to rise across the nation. Assisted living facilities are becoming more and more popular as senior residences to meet this demand. They offer every level of care and there are many of them available. Some families find it difficult to choose the right senior care facility because of all the choices. It’s critical to settle on one that is both affordable and high quality so that your loved ones can live healthy and happy and you can feel good about the placement. In some facilities, there may be certain wings of the building that are dedicated to specific levels of care, in order for the staff to more effectively care for the needs of the residents. Seniors are able to maintain as much independence as they can for as long of a time as they can, just getting the help as it is needed. They can feel confident in wearing clean clothes and looking nicely dressed because they have had help in bathing, laundry and dressing. It brings back some self-esteem they may have lost when they were losing the ability to care for themselves before they came to assisted living. There are ample opportunities to meet and socialize with other people. Some seniors are afraid of going into an assisted living facility simply because they think their opportunities for social interaction will dwindle away. This is simply not true; in fact many seniors are delighted to find there are other active and social people there to do activities with. Help with rides and transportation, something that many seniors living on their own struggle with. Reminders to take medications, and keeping on time with medicine schedules. Someone close by to call in times of an emergency. This brings so much peace of mind to the families who may have been constantly worrying about the senior falling at night when they lived alone in their own home. When researching options for assisted living facilities in Friendswood, TX call us at (832) 315-3219. 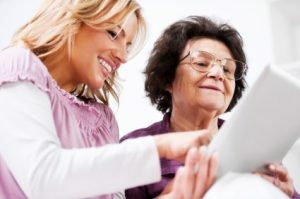 Assisted Living counselors at Serenity Gardens are available to talk with you about your caregiving needs while providing better, affordable care for you or a loved one.